The end of the year is drawing closer it’s time, to sum up what made the cut for the top PC Gaming Cases for 2017. Whether or not you’re in the market or soon to be in the market for a new computer case it’s important to keep up with new trends and designs for when you decide to start your build. In this top list, we will go over what features go into our decisions and focus on innovations that drive the industry forward. Factoring in price value, innovation, design, customizability, and more, we’ll weigh in on the highest value per dollar products produced by the top brands. Many elements go into making your considerations and you will have to decide which aspects are right for you. With everything from the tower size, bay support, sound dampening, and price go into what makes the best choice. 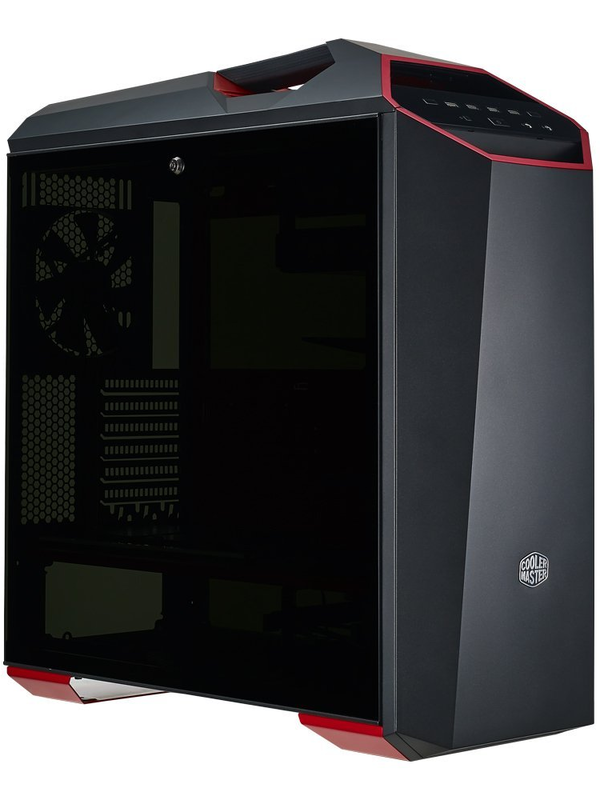 The best gaming cases in this top list are either products we’ve reviewed personally, come recommended by top industry professional reviewers or modders, or have history of outstanding quality. We’ve scoured through hundreds of reviews, videos, and feedback to help weigh in on our choices and narrow down the pros and cons. What Do The Different Form Factors Offer? 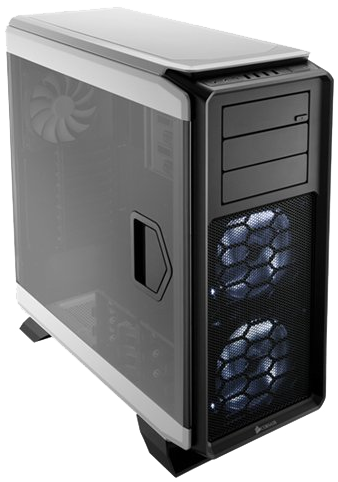 The Full tower case is the biggest of the bunch and offers the ultimate range of choices. You can stuff an overabundance of options into these. 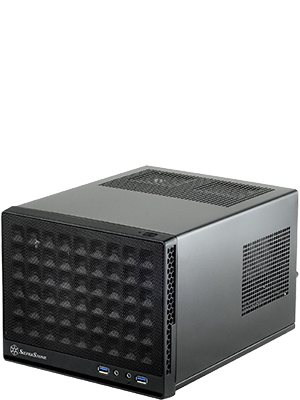 Best used for top end video editors, workstations and servers full towers cater to niches of every variety of power users with seemingly endless options for expandability and cooling. Typically supporting the biggest radiators in the industry if you’re a hardware enthusiast trying to get the optimal cooling with custom water cooling full towers might be your best option. Offering up to nine expansion slots and motherboards up to E-ATX and XL-ATX, full towers have been known to house the most powerful rigs in the market, and in some instances, multiple systems. If you’re up for a challenge and want to do a multiple system build then full towers are your go-to. 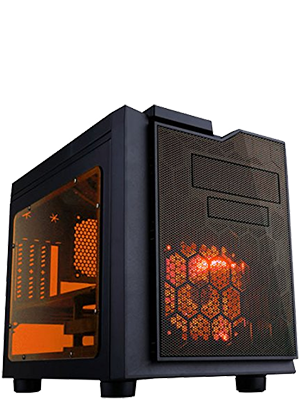 Fully equipped full tower pc gaming setups can be extremely heavy and take up a ton of space. Unless you plan on needing the entirety of the space they might not be ideal for you. As someone who owned one of these monsters, you should be aware of the inconvenience they possess. Unless you have a ton of desk space (see our top gaming desks if you’re in the market) I would advise against full tower pcs. Mid towers offer the most practicality without suffering on performance options. Along with the diminishing popularity of disk trays and SSDs becoming standard, the power efficiency rendering large PSUs obsolete, mid towers have become the most common tower size today. 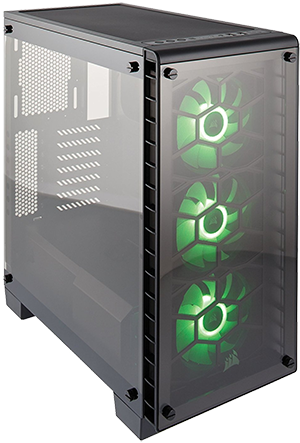 AIO coolers have become very popular and rightfully so. They are incredibly easy to install and offer almost the same performance as custom liquid cooling. Mid chassis allow up to seven slots for expansion, which is excessive by today’s standards, you have a max capacity of 3 distinct GPUs or other various expansion devices. 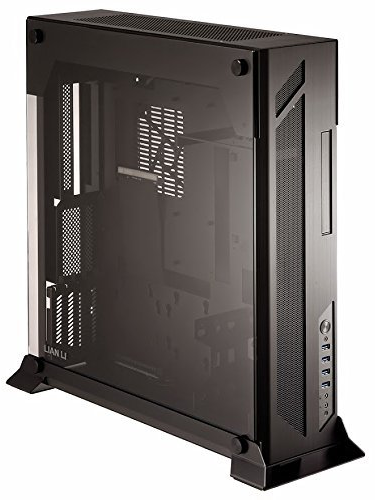 Rarely having to compromise on GPU height and width or motherboard size, with exception of E-ATX or XL-ATX, mid towers are great for most normal users. While still requiring decent desk space mid towers are cheaper, lighter, and more convenient than their big brother the full tower. All this taken into consideration if space isn’t too much of an issue for you, you don’t want to spend time researching part compatibility and just want the easiest value then most gamers will find mid towers as their answer. Micro ATX towers are a personal favorite of mine. With the right design, they can offer top of the line performance with very few drawbacks. Supporting both Micro ATX and mini ITX motherboards, micro ATX towers give you up to four expansion slots often supporting SLI and Crossfire. With the currently available graphics capabilities having more than two GPU’s is becoming ineffective. As time goes on and strides in efficiency keep making components smaller the rise of this form factor becomes more apparent. Micro-ATX towers essentially provide the same capabilities of mid towers and offer a better solution to desk space and ease of transporting making them a great choice. One note of warning is to make sure you research the compatibility of your components with the size limitations of your case. Many mATX towers cannot support extra-large graphics cards due to either length or height limitations. These small form factor pc gaming cases are fantastic for home entertainment systems, frequent movers and modern minimalists. Current tech innovations have made it possible to have some of the best experiences in these tiny compact powerhouses. If you’re looking to utilize the most amount of space and get a fair amount of performance then mITX cases could be for you. The mITX only supplies one expansion slot so you won’t be able to install multiple GPUS but with current new technology like HBM manufacturers can fit extremely high performance into small form factors like mini-ITX towers. Some case brands have opted to install PCI riser cables letting you install full-sized graphics cards. You will have to take into consideration that there are drawbacks to tiny form factor builds. One of those is being cooling methods. Most ITX cases don’t natively support water cooling and often come with noisy small fans. Another noteworthy consideration is component size capabilities. SFX power supplies, low profile ram, and maximum CPU cooler heights just to name a few. If you’re set on doing an mITX build I would highly suggest heading on over to /r/buildapc over on Reddit to get some feedback on your build. So What Gaming Cases Are Right For You? With a good understanding of the capabilities of each size and how each has its own benefits and drawbacks, you must decide which is best for you. Take into account what your needs are. Maybe you’re planning on moving your pc frequently, perhaps you need the extra power, or are limited by the amount of real estate available. 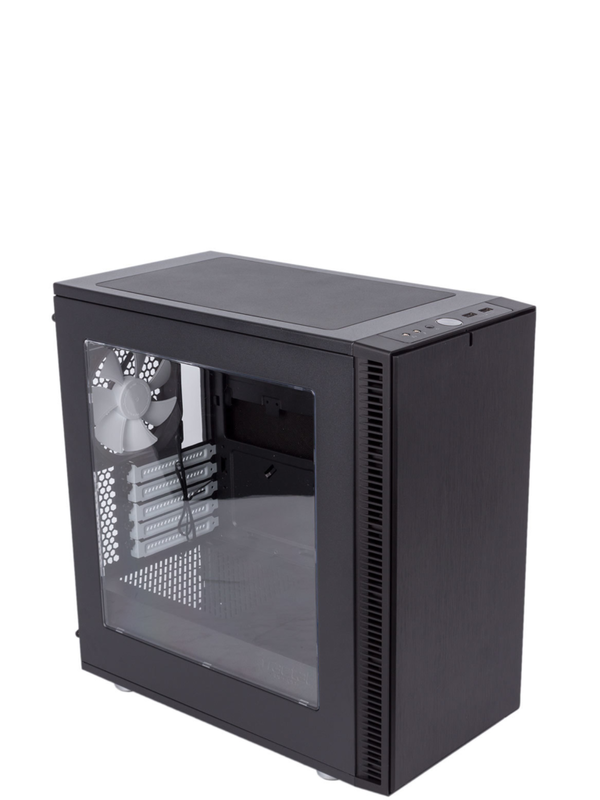 Most people find a mid-tower to be the perfect size as it sets the standard for compatibility. Whatever your choice may be we will provide this year’s best options. What Factors Do We Take Into Consideration? For every new case comes a new design and the first thing we judge when seeing a new case is always how pleasing it is to look at. With RGB lighting on the rise and extra attention going into the component design, it’s obvious that enthusiast takes pride in their rig. The PC gaming case is the centerpiece of our builds and set the stage for how we choose the rest of our components. Define what style you wish to represent and choose accordingly. In the past 10-15 years advances in manufacturing has made significant improvements to the overall quality of computer cases. Since we’re planning to stuff our PCs with hundreds or thousands of dollars worth of equipment it’s important to make sure everything is structurally sound. Premium build quality is a must in order to make our list for best pc gaming cases 2017. The PC industry is founded on improvements to technology. There are hundreds of different gaming cases on the market and each of their own layouts and designs. Many of which offer innovative design choices much like bequiet!’s integrated wireless charger. These innovations coupled with practical design choices make good cases great. The price is objectively the most important determining factor when making your decision. While there are some amazing cases out there not all of them offer a good value proposition. In Win’s H-Frame 2.0 is pretty beautiful but coming in at about $1200 isn’t a reality for the most gamers. Our list will be broken down into price groups and we will focus our main determining factor to what gives you the best bang for your buck. Now that we have a good understanding of what suits your needs lets pick our favorite gaming pc cases from this year. If you’re trying to squeeze as much out of your budget as possible but want something besides a cardboard box as a case then this section for cheap cases is for you. Let us find the PC tower for you. 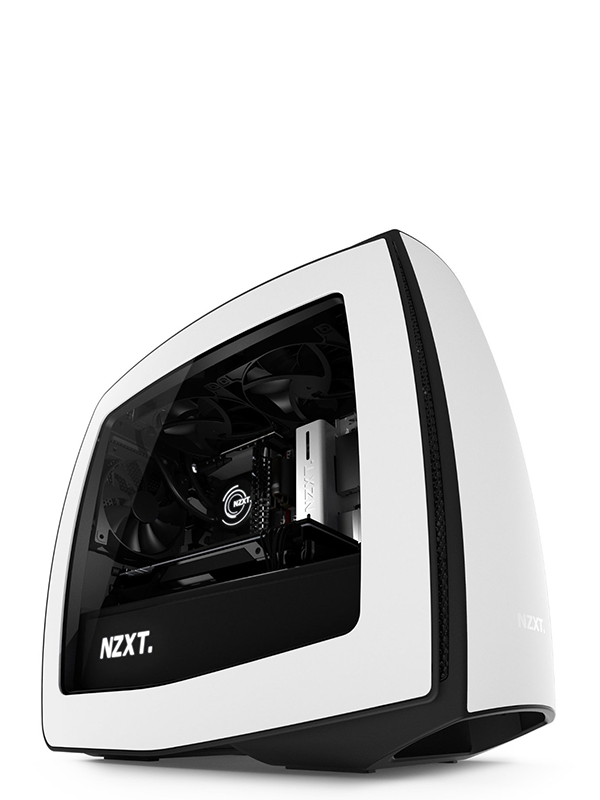 While the design of the 530 is nothing special, NZXT offers great value with all the necessary amenities and component compatibility. 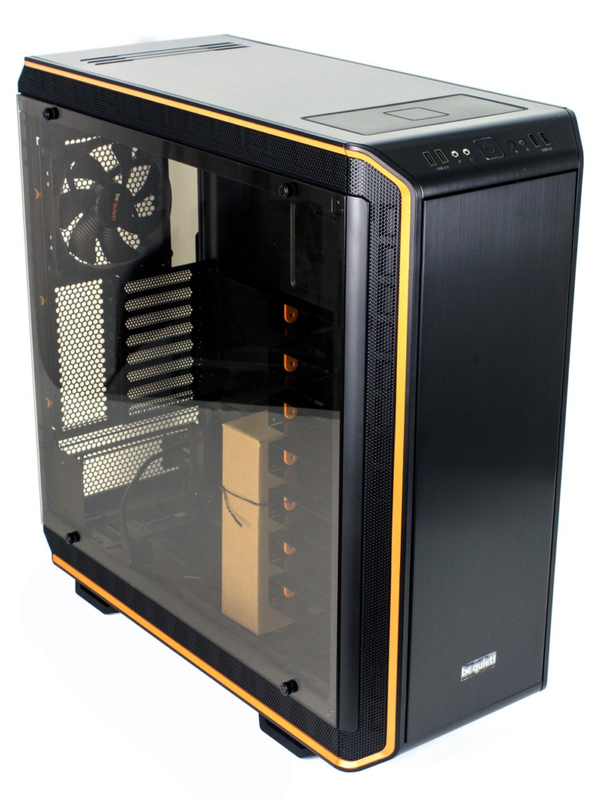 If you wish to get an in-depth review check out HardwareCanucks review of the case. 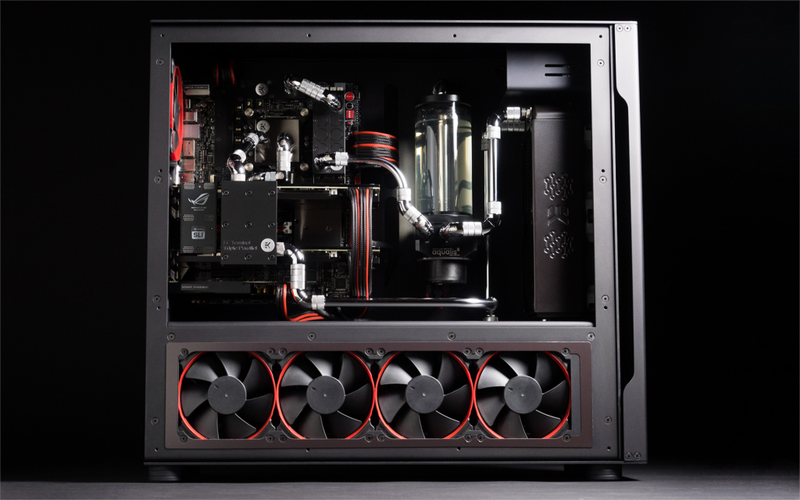 Phanteks was going for a case tailored for a genuine gaming system build with air and/or AIO liquid cooling while providing a great cost proposition and it’s our opinion that they nailed it. 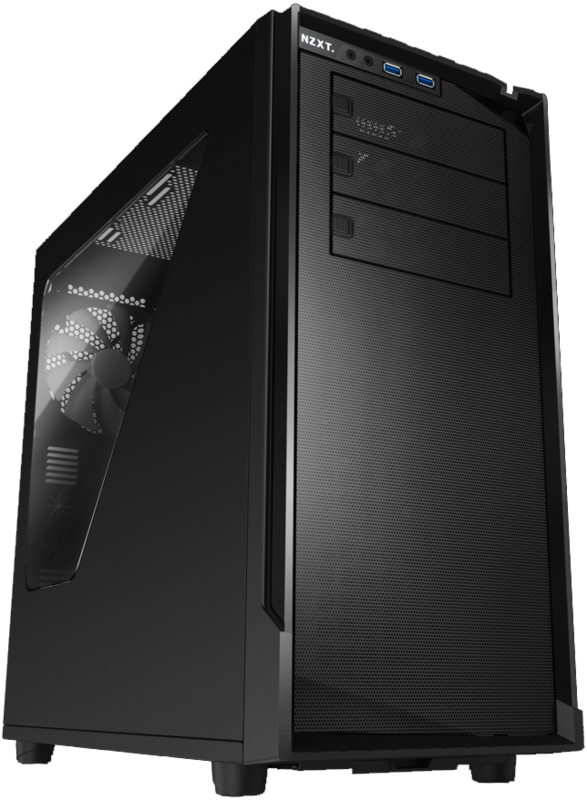 With a solid build quality and sleek aesthetics the P400S ticks most gamers box’s and gives them a great looking gaming pc case. Coming in at just under 60 bones at the time of this review, this little budget box offers a great value for users looking for a compact, no fault case. While slightly larger than most mATX gaming cases, the X-Qpack 3 offers a different style as the motherboard lays flat rather than on its side. Thumbs up all around the board (no pun intended). 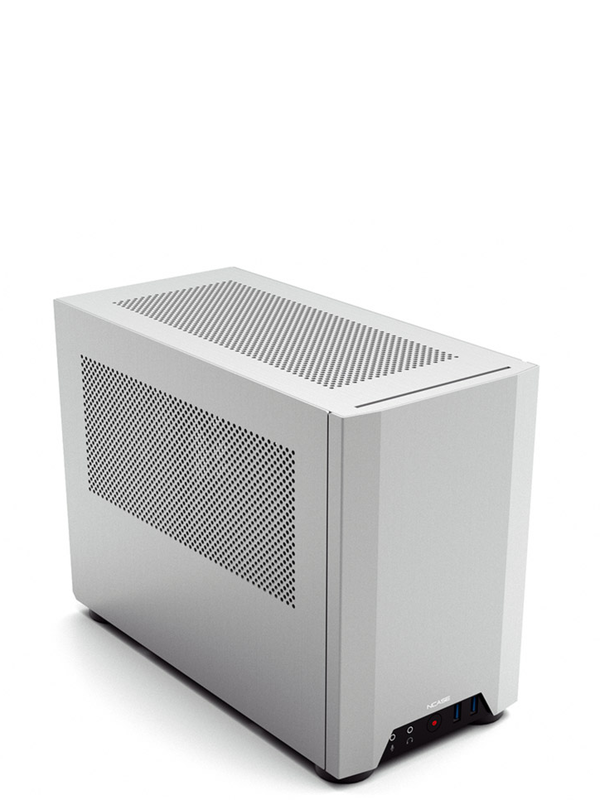 The Silverstone SG13, part of the Sugo lineup, is an amazingly compact design. Although, it doesn’t come without its challenges. Those who plan on using the SG13B will have to be sure to plan their builds very carefully. Even with Silverstone claiming GPUs up to 10.5″ are useable, getting it in there is a feat. Don’t let that deter you if you’re an experienced builder as the end result is worth the trouble. 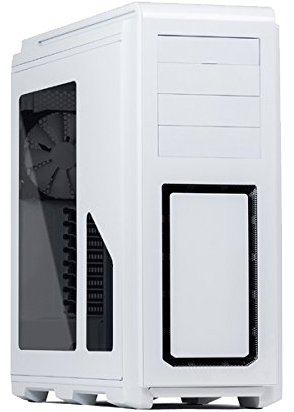 For when you don’t want to look like a pleb but are tight on spending cash then the mid-range pc tower case will be your best bet. 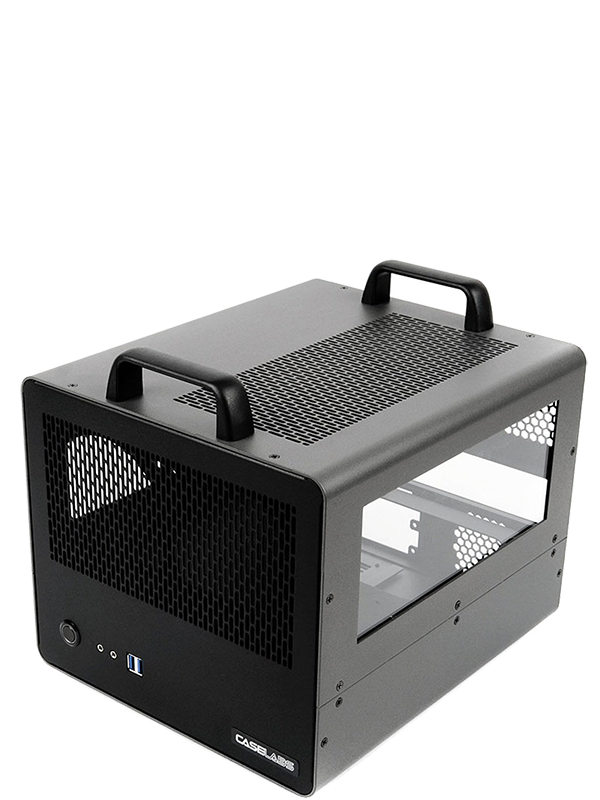 The build quality is surely great and the features offered in this gaming case give modders lots of options. 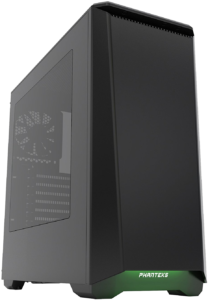 The Phanteks Enthoo Luke one of the best full tower case designs that comes with everything you need and at the same time the price is kept at a very respectable level. You have to like the design, but if you do then this tower is for you. With the rise of RGBs it would seem this case was inevitable given Corsair’s newest releases. Although even with it not coming as a surprise, this case blew us away with it’s lack of drawbacks. An elegant design without being tacky and the full functionality plus build quality you expect from the brand. This is one cool gaming case with broad appeal and a solid price point. Fractal Design has built the Mini C around its price, so you won’t be getting many extras such as integrated lighting or tempered glass. However, the design quality of this case is very effective. Whether you choose an AIO cooler or air, the Mini C gives you all the options you need to keep your components cool and quiet. A solid design by Fractal Design. There isn’t much to say about the Evolv ITX that already hasn’t been said about its big brother. Although lacking a tempered glass panel, the Enthoo Evolv ITX has a beautiful design and is a great showpiece. So we want our gaming case looking great and to come with absolutely everything that we’ll need but we don’t want to spend a fortune to get it. The good news is we don’t have to. Some of the best gaming cases are actually pretty reasonably priced. Check them out below. With a nice big window and an awesome level of expandability, the 760T makes for a fantastic showpiece. 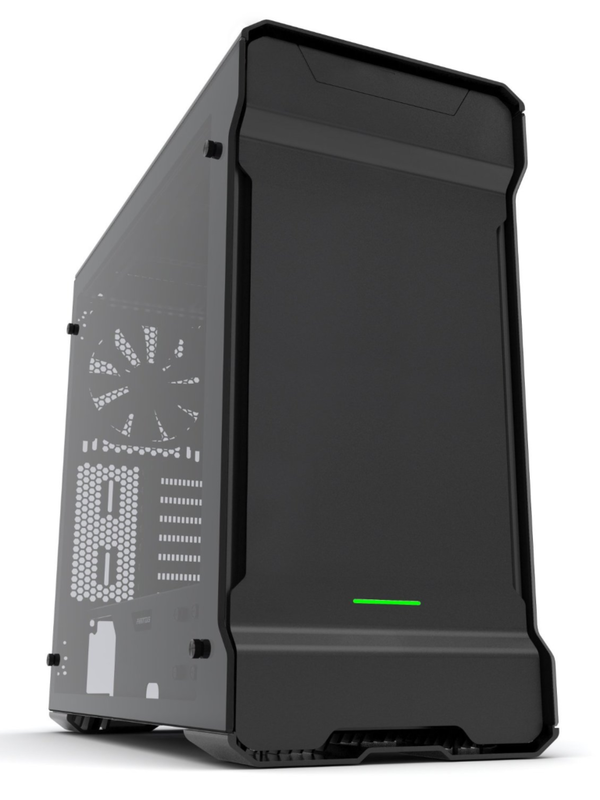 Even Anandtech spoke highly of this gaming case. Phanteks have outdone themselves with the Enthoo Evolv series. Offering an interesting futuristic aesthetic with great visibility of your build. With great room for both AIO coolers and custom loops, master builders will find no trouble getting what they want out of the Phanteks Enthoo Evolv gaming case. CaseLabs is the one company that absolutely builds its cases to last. The Bullet BH4 is no exception. With a unique design and fantastic build quality, the BH4 is a killer cool gaming case. The handles are a bit strange as I never had a problem carrying a small case around. But none the less they offer it. NZXT decided to go in a different direction with the Manta, and it’s our opinion that they nailed it. A futuristic design without the cold rigid box-like exterior. You could build a pretty killer gaming pc out of this cool case. If you want a full in-depth review of the Manta we suggest checking out HardwareCanucks review. For when the price isn’t an issue and we want not only an amazing PC but a showpiece as well there are options. Modders and fanatics rejoice as we dive into the absolute best cases the market has to offer. Cooler Master has revamped their lineup recently with more functional gaming cases. The MasterCase 5T is the crown jewel with great customizability. Nearly everything inside is removable or interchangeable and it offers a great building experience for both new and veteran builders. 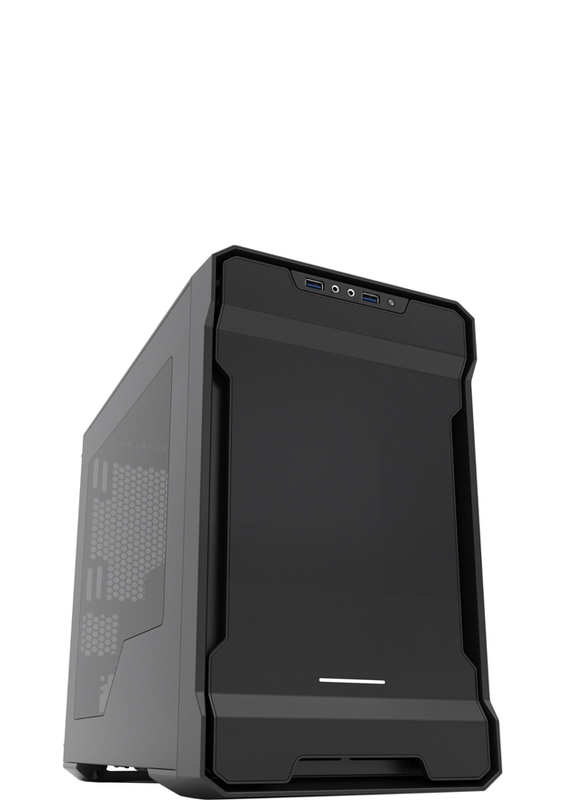 The Lian Li PC-O6SX is an extravagant case that delivers on interesting design and high-end construction material. So this cool case isn’t for those with a strict budget but more marketed towards looking for a showpiece. It’s been an amazing year for new and exciting components, cases are no exception. Then there is the rise of RGB everything and tempered glass becoming standard. We’re looking forward to 2017 and will make sure to bring you more news and reviews. If you like what we’re doing be sure to support us by using any of our Amazon affiliate links, cheers.